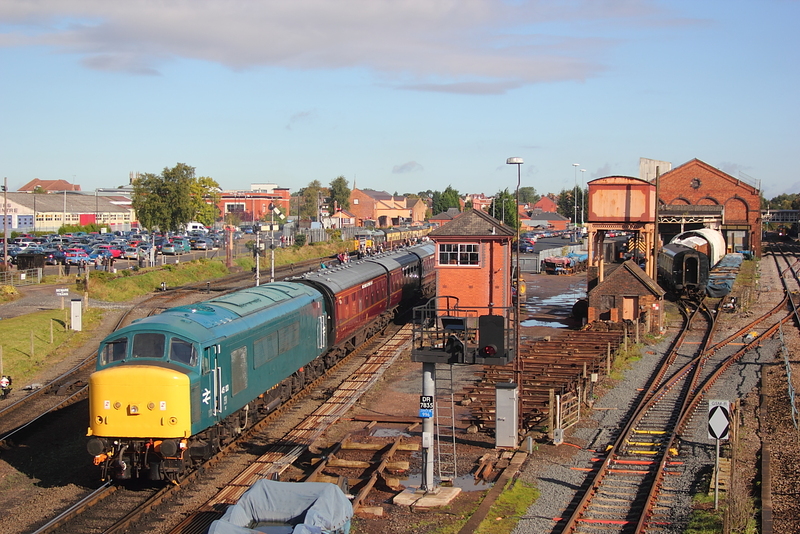 D3586 hauls Warship,D821"Greyhound"away from Kiderminster station and into the SVR sidings awaiting its first duty. 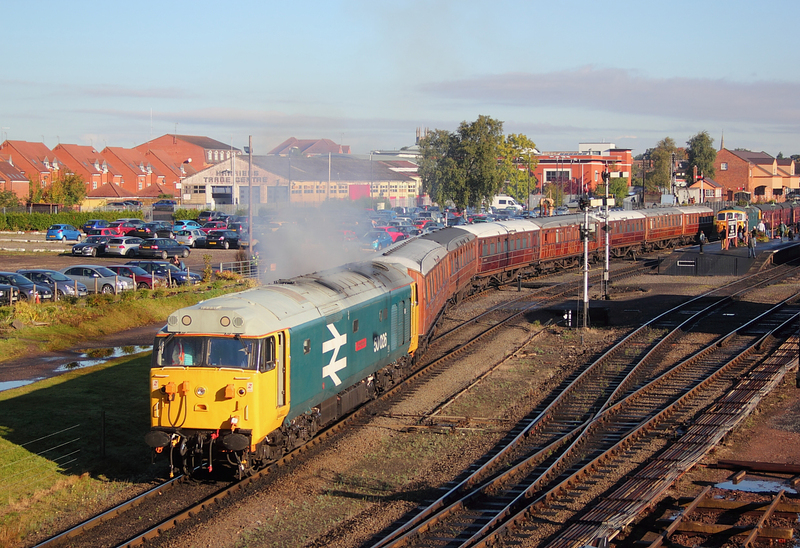 50026"Indomitable" manourveres ECS away from Kidderminster station area,before backing the stock into the Right Hand platform ,which will then form the 10.35 departure to Bridgenorth. 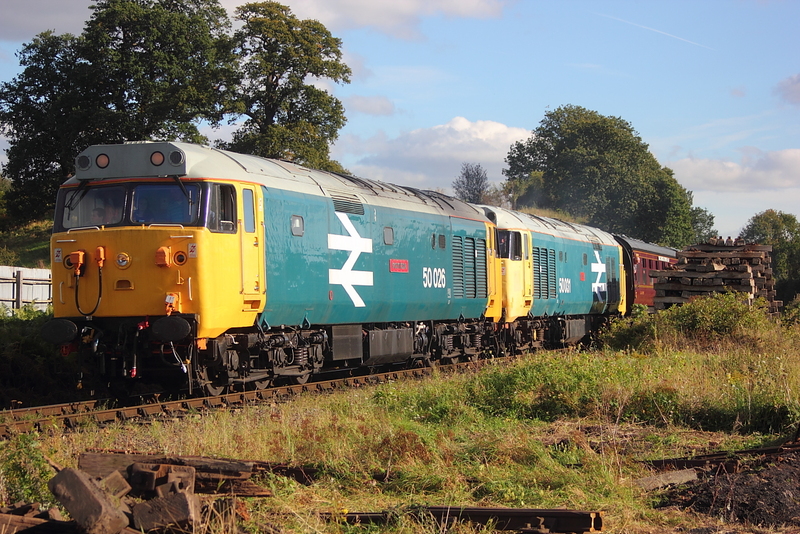 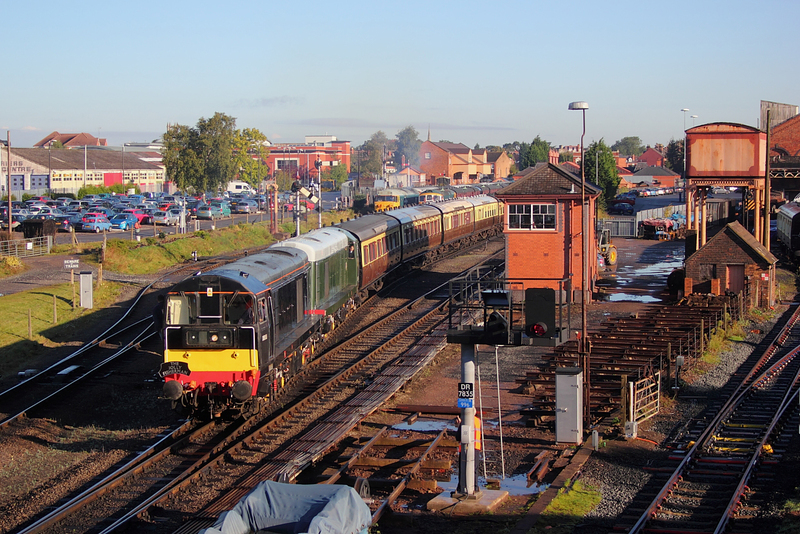 With its White cab window surround,bringing memories of the few of this Class 33 subclass that were adorned with this feature whilst allocated at Eastleigh depot.....33108 departs Kidderminster with the 09.55 service to Bridgenorth. 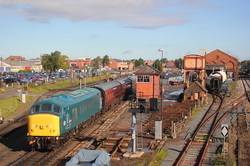 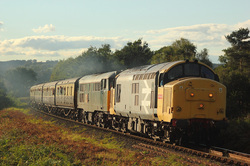 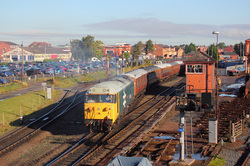 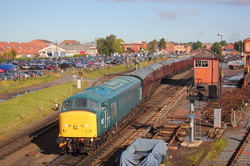 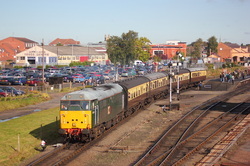 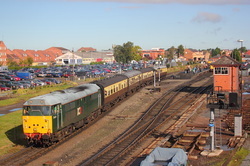 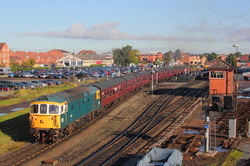 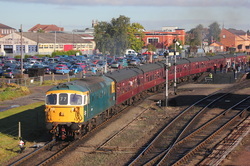 33108 09.55 Kidderminster to Bridgenorth. 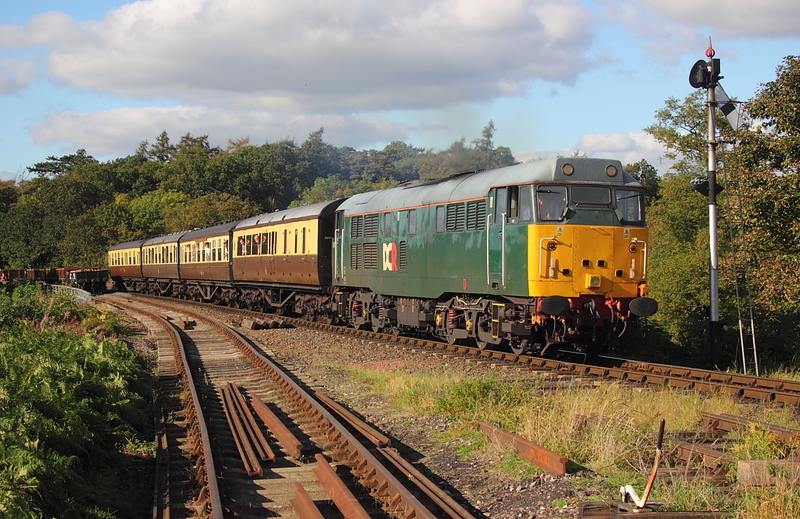 45133 pulls away from Kiderminster with ECS,then will back the stock into the platform area ready to form the 11.20 service to Bridgenorth. 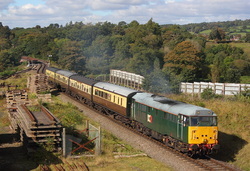 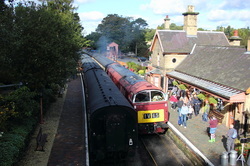 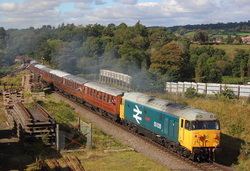 45133 backing the stock into the platform area,which forms the 11.20 departure to Bridgenorth. 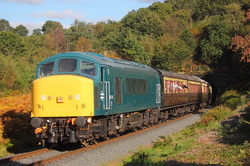 31601..10.45 Kidderminster to Bewdley shuttle. 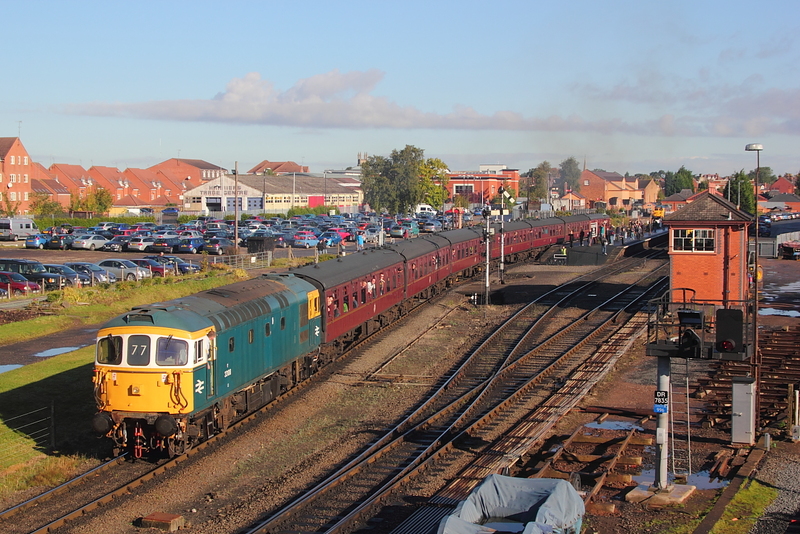 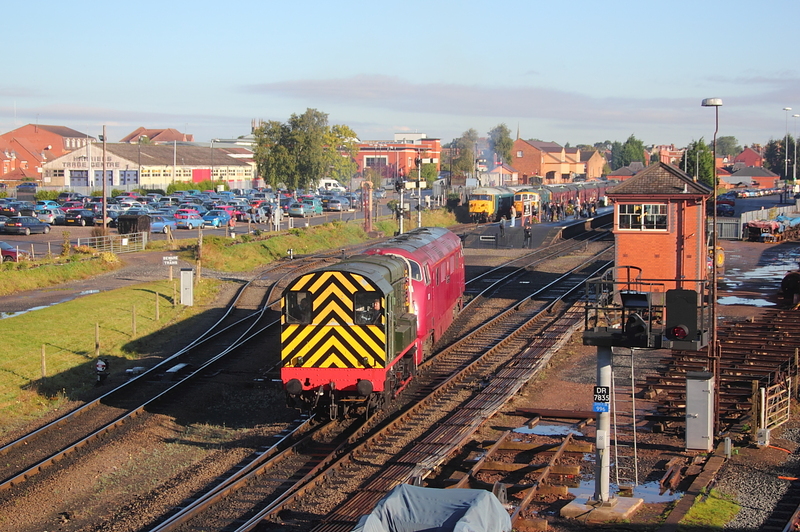 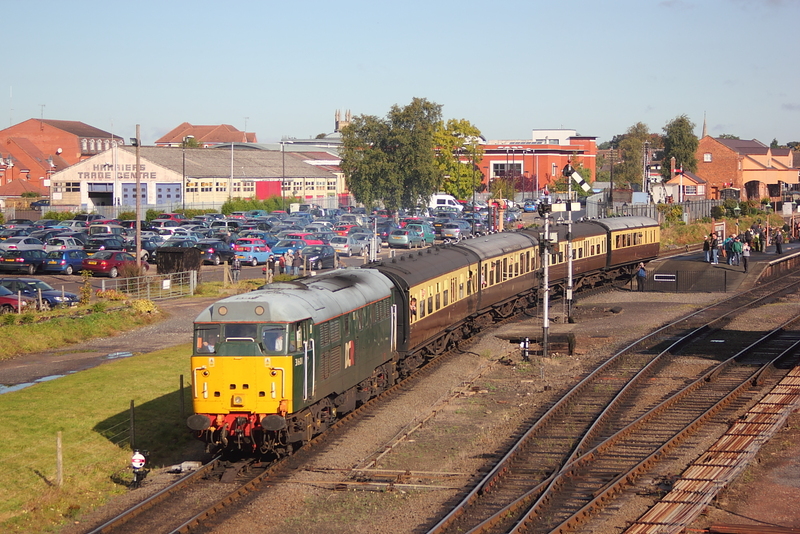 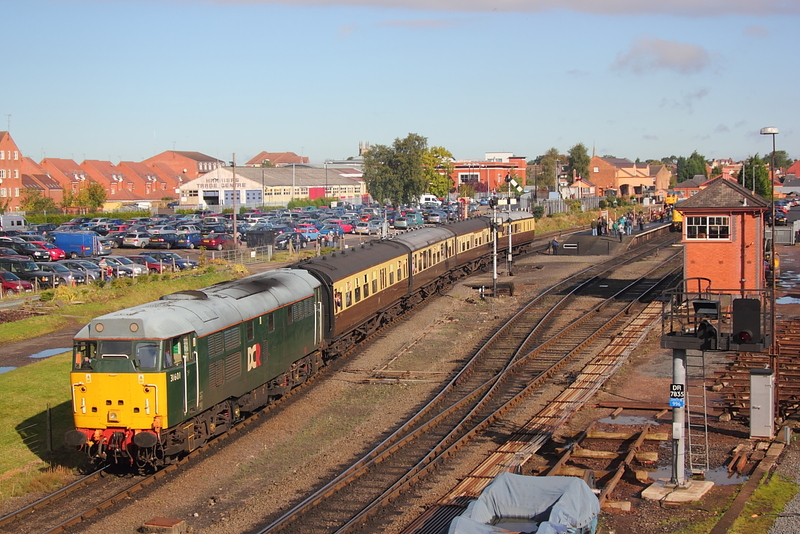 45133 awaits to depart Kidderminster with the 11.20 service to Bridgenorth. 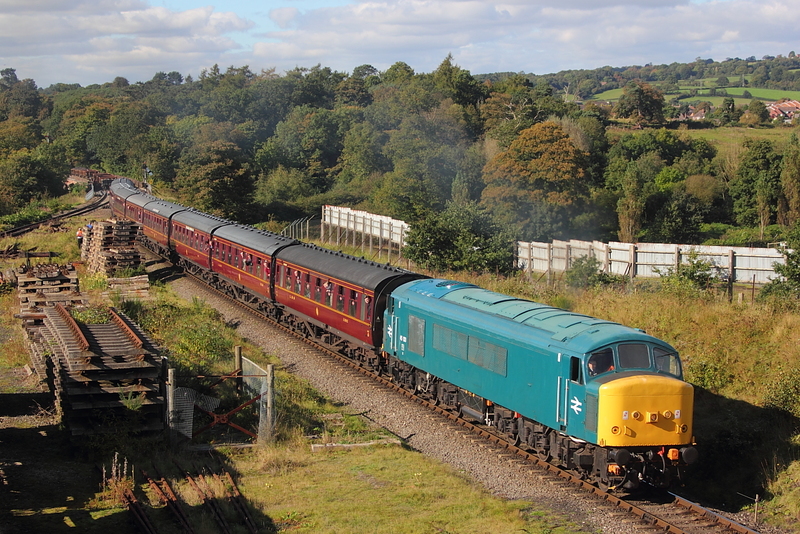 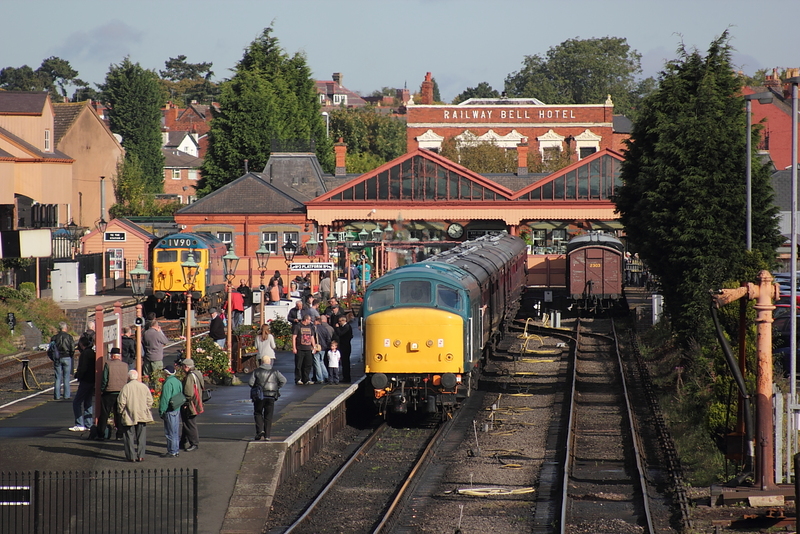 50026"Indomitable"12.47 Bridgenorth to Kidderminster passing Bewdley South. 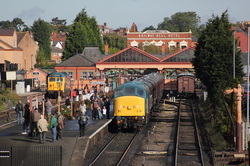 31601 passes Bewdley South,just shortly after departing Bewdley station with the 15.01 shuttle service to Kidderminster. 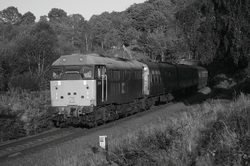 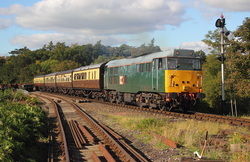 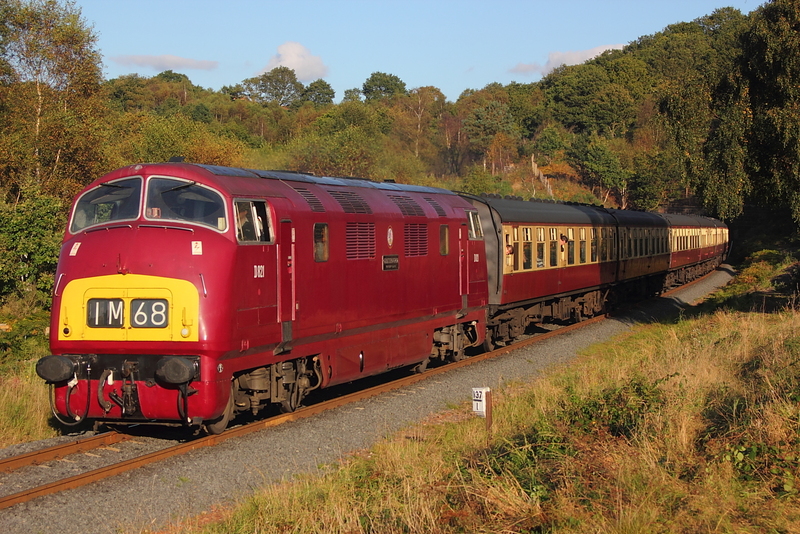 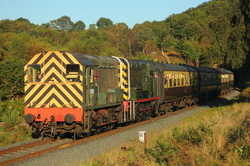 D821"Greyhound" 14.19 Bridgenorth to Kidderminster. 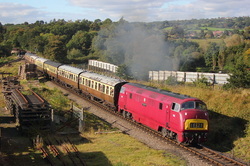 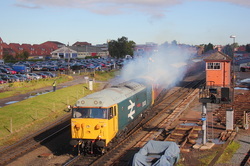 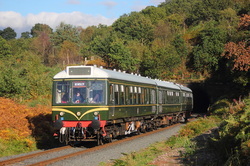 45133 leaves the tunnel at Foley Park whilst working the 15.56 Kidderminster to Bridgenorth service. 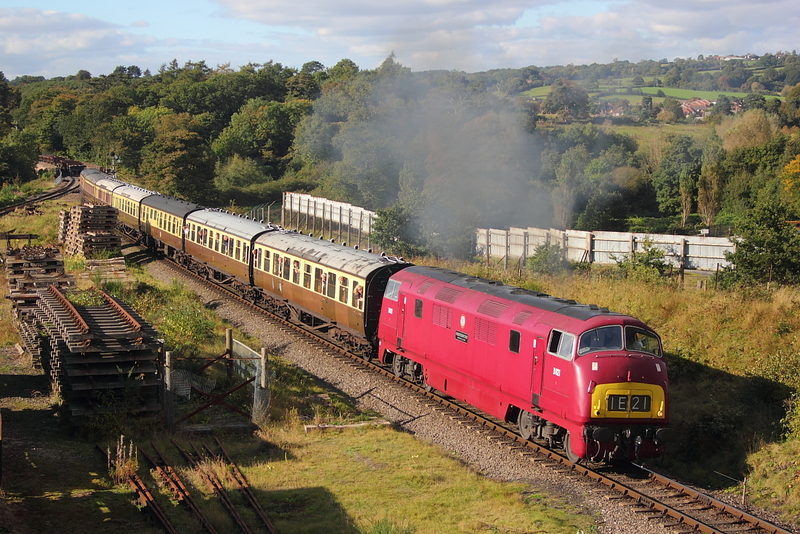 Class 108 DMU M51941..M59250..M52064..16.20 Kidderminster to Bewdley shuttle. Repaired 37906 finaly makes an appearance at the Gala ,and having just missed the better shot leaving the tunnel ,had to settle for this backlit shot of the slug ,with 31601 in tow working the return 16.33 Bewdley to Kidderminster shuttle service. 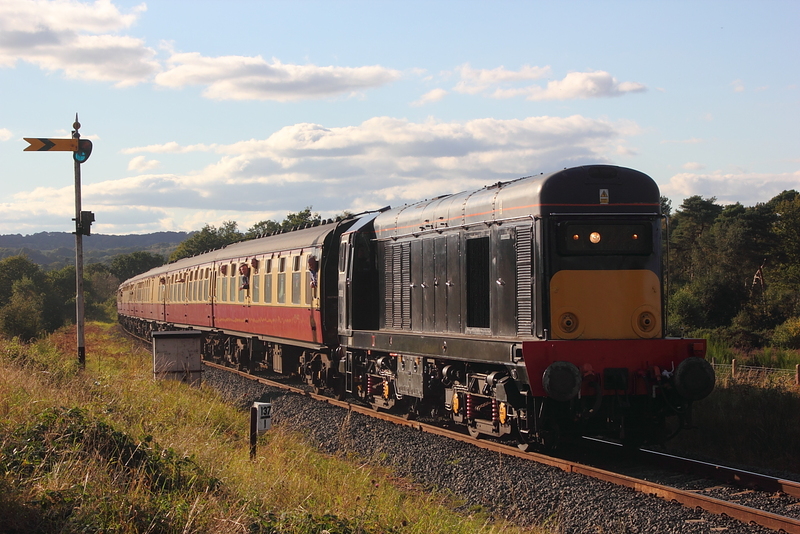 With the evening sun ever lowering,D821"Greyhound" departs from the Foley Park tunnel working the 16.42 Kidderminster to Bridgenorth service. With the Autumnal sun nearly on its knees,31601 leaves the tunnel working the 17.29 Kidderminster to Bridgenorth service,but a bit of squiff nearley scuppered the shot,but rescued by good old black and white conversion.